Equipment shortages and logistical failures helped to doom Britain’s war effort in Iraq by leaving troops with “wholly inadequate” kit, the Chilcot Inquiry has found. The details are likely to distress the families of those killed in Iraq due to faulty or inadequate equipment. For years there were complaints over a lack of body armor and poor vehicles, among other flaws. Chilcot’s findings are damning. Equipment was found in 2001 – two years before the war – to “not work well in hot and dusty conditions.” This was identified as a major issue given the UK was engaged in expeditionary warfare in arid regions. The report also notes “asset tracking” was flawed, which eventually came to have a serious effect on operations. Many soldiers also ended up deploying in clothing meant for temperate climates because “the MoD had insufficient desert combat suits and desert boots for all personnel. Personal testimony by Iraq veterans on shortages is equally chilling. On Wednesday former soldiers Iain McMenemy and Damien Hern told the BBC their body armour was taken away because of a deficit. “First week into the combat campaign itself we were asked to give them up ... There were other troops that would be fighting perhaps on foot and the ones that were fighting on foot should have those ceramic plates because they may have more need for it,” they said. 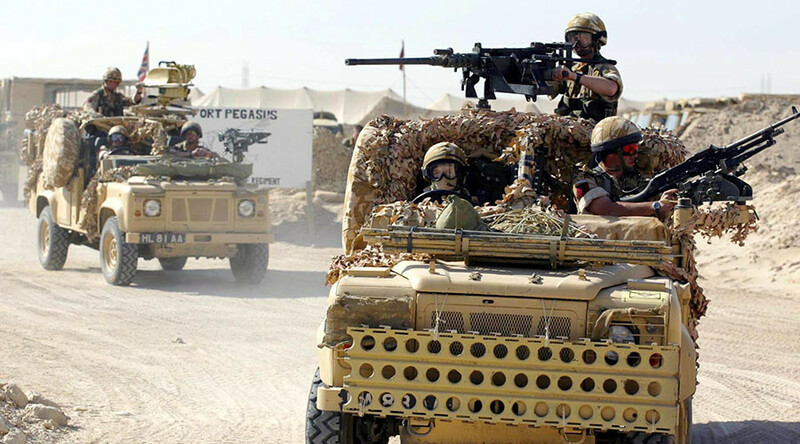 Concerns were also raised about the British military being overstretched from 2006 onwards because it was engaged in parallel wars in Afghanistan and Iraq. In his defence on Wednesday, former Prime Minister Tony Blair said he did not accept there were inadequate resources for the two wars, citing a Cabinet meeting where the issue was discussed.